It’s that time of year again where I’ve started planning for the coming term over again. The Arabic workbooks I’ve designed have been edited and there is a curriculum that is coming together now alhamdolillah. 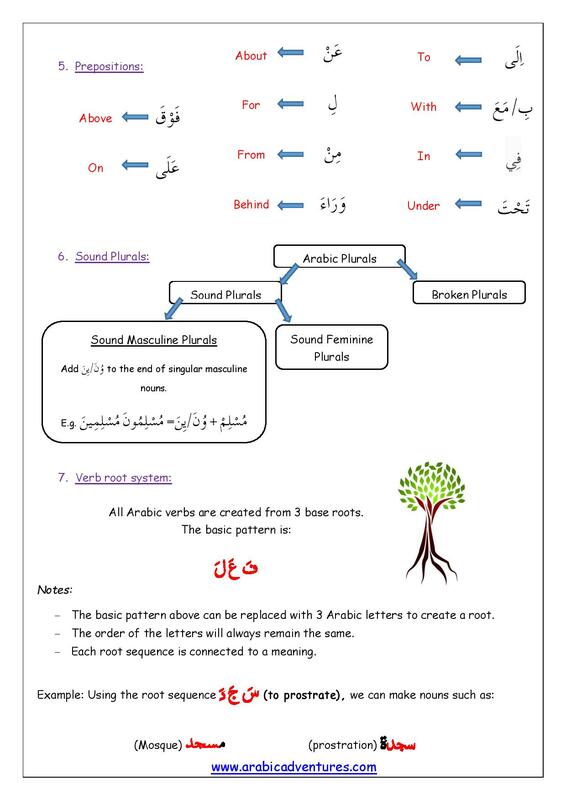 In prep for the 1st lesson back, I’ve created this Back to Madrasah Arabic Grammar revision sheet to help them review what was taught last year. Hope this is useful iA. 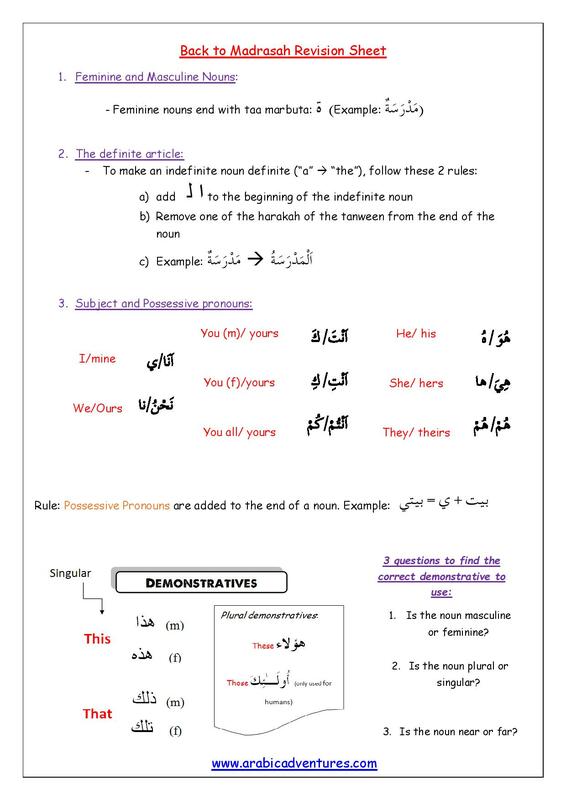 This entry was posted in Arabic Grammar and tagged arabic demonstrative pronouns, arabic grammar, arabic grammar review, arabic grammar revision, Arabic Language, arabic prepositions, arabic pronouns, arabic revision sheet, arabic sound plurals, Arabic verbs, definite article, feminine masculine nouns in Arabic. Bookmark the permalink.